Perhaps one of the most fascinating and misunderstood tools of the criminal justice and criminology industry is the polygraph exam, more commonly known as the lie detector test. While the tests are based on relatively simple scientific principles, not just anyone can strap you up to an instrument and start firing away with questions. Lie detector tests are instead conducted by highly trained and disciplined technicians, known as polygraph examiners. The term "polygraph" literally means "many writings." It refers to the science of the test, in which several physiological responses are measured at the same time to detect signs of deception. This process is called forensic psychophysiology, which denotes the relationship to the mind and the body as it pertains to physical responses to thoughts and emotions. The true professional title of a polygraph examiner, then, is forensic psychophysiologist. Invented in 1921 by Berkeley medical student John Larson, the polygraph has been used in interviews and interrogations for nearly a century. It operates on the notion that telling a lie causes stress for most individuals and that stress, in turn, produces measurable physiological responses. The polygraph is still the subject of much skepticism and misunderstanding, though. 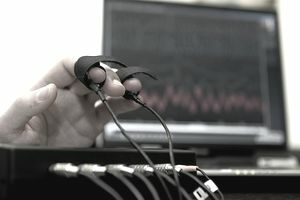 In many cases, polygraph results are not admissible in court, and they have been prohibited from being used in pre-employment screening for all but the most sensitive jobs, such as special agents and police officers. Nonetheless, it has proven to be a useful tool for internal and criminal investigations and intelligence gathering, both in the public and private sectors. In truth, polygraph results are often only as good as the examiner conducting the test. For this reason, the American Polygraph Association has established rigorous standards to certify examiners and ensure that the integrity of the polygraph is maintained and upheld. Polygraph examiners work for public law enforcement agencies, criminal investigative entities, intelligence services, and private consulting and investigative firms. The bulk of their work is performed in an office setting. Examiners prepare subjects for testing, conduct the test, and analyze the results. Depending on the scope of questioning, the entire process can take several hours. A very large part of the job of a polygraph examiner involves effective communication and dealing closely with individuals, many of whom are nervous about their test. Polygraphers prepare reports about the results of their exams and submit them to their superiors or clients. Generally speaking, they do not make recommendations with regards to how to deal with the test subject but instead report their opinion regarding the veracity of the subject or the presence of deception. At times, they may be called to testify in court proceedings about the conduct or results of their examinations. Certified examiners must maintain their skills by participating in annual continuing education and training programs. Polygraph examiners also submit reports about the accuracy of their tests in order to build upon the data set and further verify the efficacy of the testing process. Individuals looking to work as polygraph examiners will often need to hold an associate's or bachelor's degree. Degrees in criminal justice, criminology, psychology, or forensic science will be most beneficial. Many times, agencies will appoint current officers to the position of a polygraph examiner and arrange for the officer to be trained. In these instances, a degree may not be required, but relevant work experience, particularly in law enforcement and investigations, will still be necessary. Interpersonal communications skills and writing skills are musts for potential examiners. Polygraph examiners can attend one of several polygraph academies throughout the United States, where they receive more than 200 hours of industry-specific training. They must also conduct 200 verified exams before they can be certified by the APA. Jobs for all forensic examiners are expected to grow at a rate of 19 percent through 2020. It is slightly higher than the national average for all occupations in the United States. Law enforcement and federal criminal investigative agencies continue to make use of polygraph exams as part of their background investigations. Polygraph examiners receive highly specialized training, meaning they will continue to be in demand for the foreseeable future. Polygraph examiners can expect to earn around $56,000 annually. Actual salary will vary depending on location, education, and experience. Is a Career As a Polygraph Examiner Right for You? Polygraph examiners are highly analytical people with excellent interpersonal communication skills. They combine a knowledge of psychology and physiology to evaluate individuals for deceptive tendencies. The work can be fascinating and intellectually stimulating. If this sounds like the kind of work you're interested in performing, then a career as a polygraph examiner may be the perfect criminology career for you.